It has been almost a month since I started the “Learn anything in 20 hours” challenge. As you may recall, I decided to start with something fairly simple. Since I’m already pretty comfortable with playing the melody on the piano, I have tried over the years to expand my skills to include the left hand. 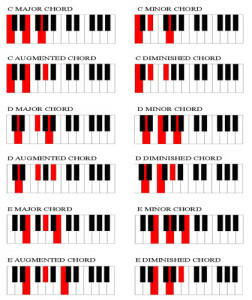 I never had any success until I stumbled on the idea of chords a few years ago. 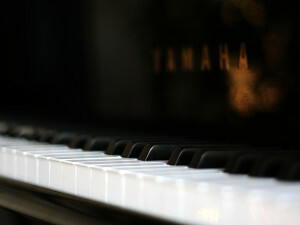 I played around with chords for quite a while, and I understood the concept just fine. 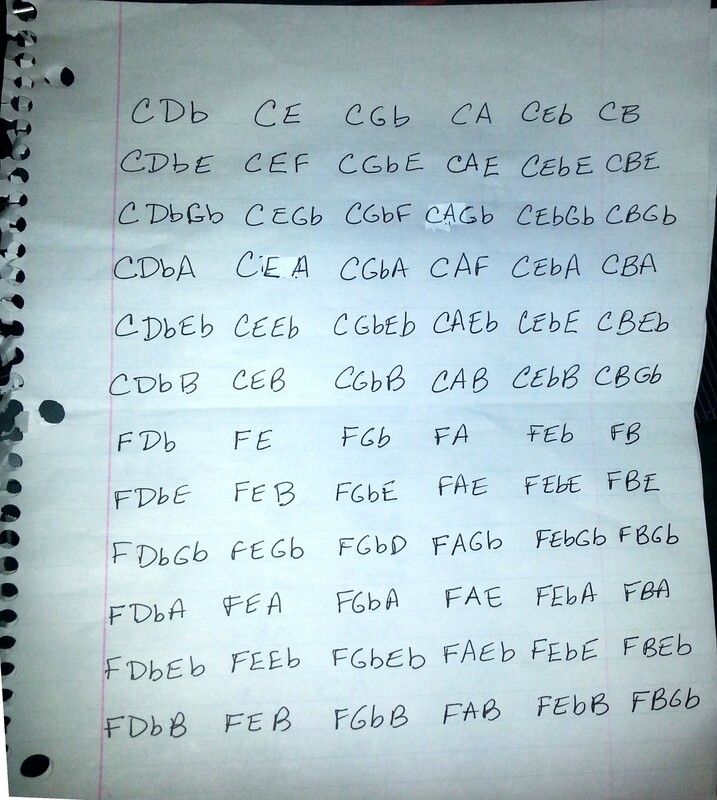 It was getting my fingers to find the right notes fast enough to accompany the melody that I struggled with. 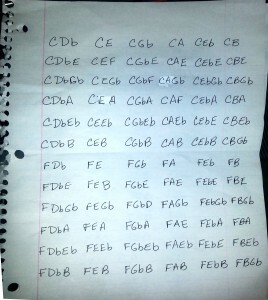 By the time I finally gave up, I had mastered only four chords, C, F, G and D, and that’s where I left it until this last month. I decided to put the “20 Hours” idea to the test by learning all of the major chords, even the ones I was pretty sure I’d never use, like Gb, Ab, Db and Eb. It took a couple of weeks, but suddenly they began to click and I found out I wasn’t struggling any more. I made a point of always practicing at night since the book explains that motor skills learned within four hours of sleeping are learned and retained more quickly. After the first couple of weeks, I have to admit that I slacked off a bit. Still, only practicing every other day or so, I began to pick up speed and confidence until I decided to tackle the minor chords. Surprisingly, I didn’t need to “learn” the minor chords. It was such a simple adjustment from the major chords that it only took two evenings of practice for me to feel satisfied that I knew them well enough for my purposes. For the last week I have been playing Christmas Carols and folk songs with varying degrees of difficulty. The easier arrangements are hardly challenging at all now and I can play both melody and chords at almost the same speed as melody alone. The harder Christmas book is still a bit of a challenge, but I never would have attempted these chords before. I am thrilled with the progress I have made in just a month. Although I didn’t closely track my time, I know I didn’t come close to the full 20 hours. However, I have met my objectives and feel that I can declare that this experiment was a success. Now I’m ready to move on to challenge number two… drawing. It has been more than three decades since I have shown my goods at a craft fair. The last time, I was a Junior in High School and I had been making crocheted stuffed animals and selling them to teachers and classmates. When our school put on their annual fair, I was encouraged to see what I could sell. I didn’t have any idea what to expect and didn’t have time to make any stock to sell. That didn’t stop me (although, it should have) and I set up my little table with purple kangaroos, ombre orange squirrels and so on. The problem was, I wasn’t selling the toys, I was taking orders. I could say it was an abysmal failure, but that would be understating things. I think I took two orders, much more than I deserved. My parents are awesome. They came over yesterday, and not just to sample the sweet treats I made for the fair. They helped me get all of the fudge and cookies packaged and they also helped make more pillar candles. I know that baking isn’t really crafting, although it can be if you put your mind to it. Still, baking is one of my favorite things that I never do. I’m a big gal and I’m always trying (unsuccessfully) to get smaller, so making cookies and fudge isn’t something I indulge in often. But when I do, watch out! As a prolific crafter, I get one of two questions when I show coworkers and friends the latest batch of things I’ve made: “What are you going to do with that?” and “Don’t you have a life?” The answer to the second one is (obviously) yes – a life that involves crafting and not just vegging in front of the TV or computer. I know I should get more time out of my crafting chair, but there are just so many ideas and products I want to explore. I spent the weekend making Halloween cards. I got more than 20 of them done before it occurred to me – I don’t send Halloween cards. I guess they’ll go in the same box for safekeeping that already has dozens of Christmas cards, birthday cards and everyday cards. I love making cards, it’s one of the least restrictive paper crafts you can do. I just don’t have any desire to send them out. Oh well, they look pretty in the box.